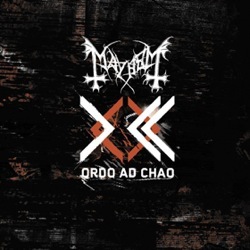 After a three year absence, the world's most evil, infamous and important black metal band summons up the highly anticipated "Ordo Ad Chao" (translation: Order from Chaos). Featuring the return of vocalist Attila Csihar, who appeared on the band's pivotal album "De Mysteriis Dom Sathanas", this album will serve to strengthen the band's legacy as they emerge more vicious and vital then ever. The weak bands currently plaguing the Black Metal scene are sure to be exposed and exterminated as "Ordo Ad Chao" not only crowns 2007's "Best of" lists but the "Best of All Time" lists as well.